This Interview posted by Sam Blake on 22 August 2011. Stuart Neville has been a musician, a composer, a teacher, a salesman, a film extra, a baker and a hand double for a well known Irish comedian, but is currently a partner in a successful multimedia design business in the wilds of Northern Ireland. 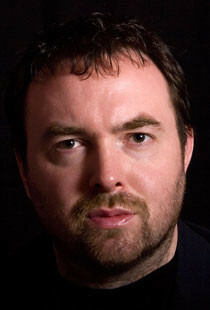 He’s published short stories in Thuglit, Electric Spec and Every Day Fiction. So how does a new author get reviews like these? I’m not the only one who thinks this is a great book…. Chance and serendipity played a big part in my getting published. After months of revising The Twelve, or The Ghosts of Belfast as it’s known in America, I wanted to revisit one of the main characters. I wrote a short story, and almost on a whim, submitted it to a web-based crime fiction zine called ThugLit.com. I was delighted when they accepted, and was pleased that I’d get a T-shirt for my troubles. What I didn’t expect was that one of New York’s greatest literary agents would read the story and get in touch to ask about the novel I mentioned in my bio. Thus I sent the manuscript off to Nat Sobel, and the rest is history. So how did the idea for The Twelve/The Ghosts of Belfast come to you? I woke up one Sunday morning with a startling image in my head: a man sitting in a bar, getting drunk, surrounded by all the people he’s killed. I immediately started writing a short story based on this picture on my mobile phone. A month later, the story wouldn’t leave me alone, so I set about turning it into a novel. Most stories come to me like that; a still image, like a tableau. It’s a very visual thing. 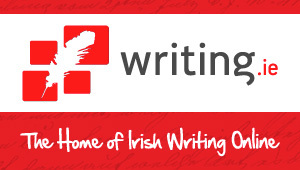 How do you write, do you plot out your story, start with developing your characters or do you just start writing? Usually, I just start writing. If the story has legs, it’ll develop from there, but I won’t know until I try. The first draft of The Twelve was written in one big rush over ten weeks, very fast and intense. I don’t think that will ever happen again. What writing techniques do you use for plotting and planning? Do you use mind maps/story boards, or chapter tables to plan out the whole novel before you start? The Twelve was very much a seat-of-the-pants book with little or no planning. I did know exactly how it was going to end, though, right down to the last few words. So I had points of departure and destination, and all I had to do was join them up. I’ve just finished the sequel, provisionally titled Collusion, and it was a completely different experience. I really struggled with it, each chapter was like pulling teeth, and in the end I had to start mapping out each step of the story on index cards so I could see the path I needed to take. I honestly don’t know how the next book will be written. So do you write starting at ch1 and working to the end, or do you write different chapters/scenes and fit them together? What works for you? I write in a completely linear way, starting at the start, and ending at the end. I can’t write out of sequence. I know other writers do jump around, writing a scene here, and a chapter there, but I can’t do that. 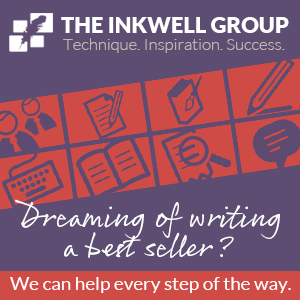 Every writer is different, and each has their own way of doing things. Tell me a bit about the research you do for your books – The Twelve gives a very gritty picture of Belfast but it’s possibly the first time that the organised crime element of sectarianism has been represented in fiction. How did you find out so much about the dark side of society? The racketeering side of paramilitarism has always been an open secret. The republicans always had vast sums of money coming from both donations by naïve Americans (the FBI estimated the figure at $9 million annually in the 1990s), and organised crime. Extortion, smuggling, fraud, and just plain old thievery earned them a lot of cash. When you consider that Libya provided most of their weaponry free of charge, you have to wonder where all the millions upon millions went. Alas, for anyone who has lived in a working class area in Northern Ireland, none of this is news. Tell me a bit about your writing day. I’ve been writing full time for the last few months as I’ve struggled to complete the second book. A big chunk of the day is spent just sending and reading emails, particularly while the book is being promoted. At least a few hours are spent on the actual writing, but if the flow is on, then that could turn into several more hours. I find the only way to do it is to just sit down and start typing. Even when I’ve felt like I didn’t have a single sentence in me, as often as not if I just started typing, the block would dissolve, and next thing I know I’ve got another thousand words down. Collusion, the sequel to The Twelve, has just been handed to my editor Geoff Mulligan at Harvill Secker. There’s a little bit of a lull now as I wait for notes before the next round of revisions, so I’m putting together synopses for another couple of novels. I’m also getting ready for my US tour to promote The Ghosts of Belfast, which I begin in New York on October 13th. I’m reading Aftermath by Ruth Dudley Edwards, an account of the families of the victims of the Omagh bombing, and how they took their loved ones’ killers to civil court when the criminal system failed them. It’s both a harrowing telling of the tragedy itself, and an uplifting story of how decency can prevail over the worst evil if given the chance. 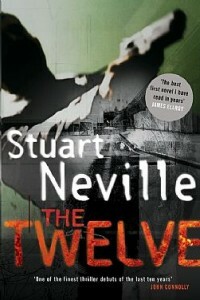 THE TWELVE is Stuart Neville’s first novel, and will be published in the UK and Commonwealth by Harvill Secker, an imprint of Random House, on July 2nd 2009. 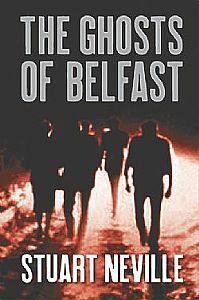 It will be published in the USA as THE GHOSTS OF BELFAST by Soho Press, New York, and by Random House Kodansha in Japan.